This past Saturday I had the pleasure of assisting with one of the cutest graduation parties ever. and I was more than happy to help out. However, her and her daughters were doing a rockstar job already! They had the color scheme, details, and most of the ideas already figured out! that we hung in the entry. They really made it feel like a party! The girls glittered Hannah's name and made this tassel garland for the fire place. We strung up some extra coral and gold dots to tie all the colors together. Shari's daughter, Taylor, made all the signage and tags. All these little details really made the party. Yeah. Pretty sure I'll be hiring her asap. Everything on the dessert table was mini. Which is refreshing when attending SO many graduation parties! 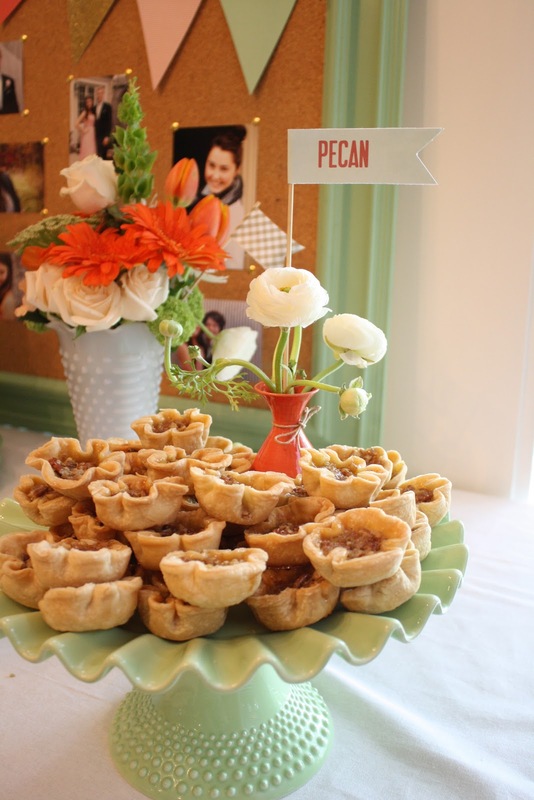 The girls borrowed my cobbler-in-a-jar idea from the country inspired grad party I did last year! 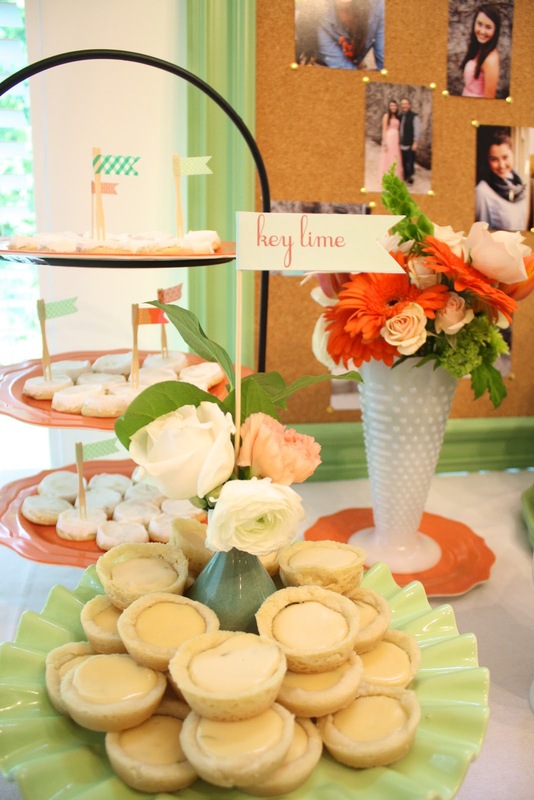 Hannah, that's right, the guest of honor, made all the little pecan and key lime pies! I loved all the sweet little quotes sprinkled around the house and mixed in with photos. These girls are seriously so talented!